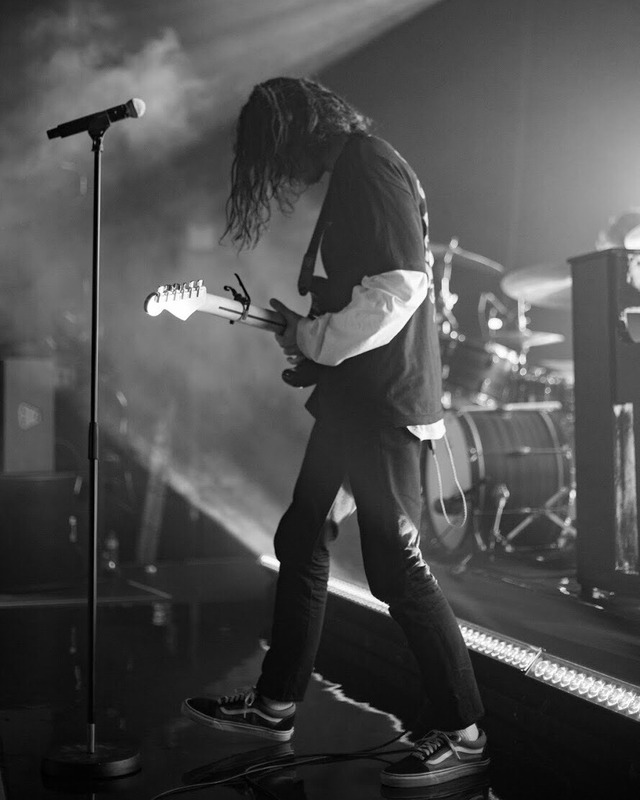 LANY capped off a busy year with a UK tour in promotion of their debut album. 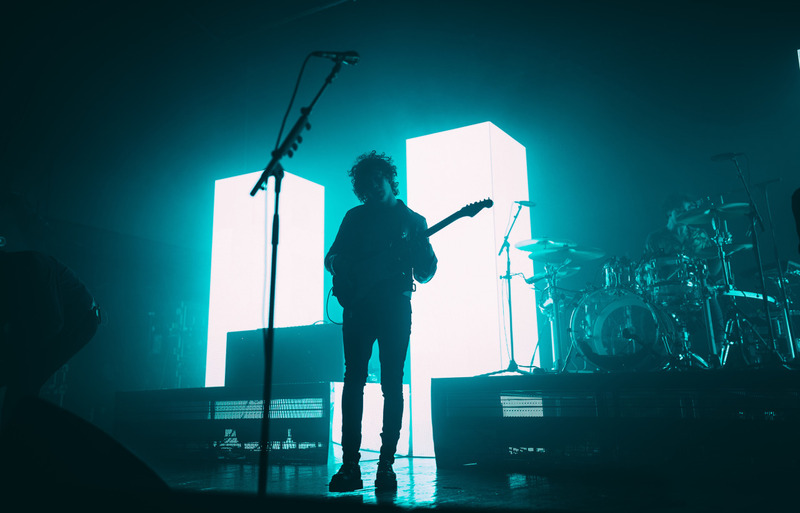 The American indie-pop band have been one of the biggest bubbling-under artists on the pop scene on both sides of the Atlantic, and their glossy tunes succeeded at a lively show in Leeds. Given that their self-titled debut was no smash hit, it’s suprising the level of hype surrounding the band. LANY was a very enjoyable album, and the ‘indie’ label applies more to their logistics than their actual sound. This is big, catchy & slick pop music that wants very much to be liked. It appears to have clicked with teenage girls, judging by the whooping mass crowding out the Stylus. Would LANY be here if not for the huge success of The 1975’s You Look So Beautiful? Probably not. It’s hard not to compare LANY to the band, so similar is their confessional tone, deference for squiggly synth lines and the long haired eccentricity of front man Paul Klein. If that sounds like a dismissal, it isn’t. Because while they do share traits, they share strengths too. The shiny pop sound is a pleasure to listen to. LANY have a full-bodied, trendy sound that feels fresh. On stage they make excellent use of large LCD screens (remind you of anyone?) with block colours that silhouette the three performers. Through these screens, LANY contextualise their lovelorn music with footage from retro arcade games, chunky teletext and deliberate anachronism. #just90sthings indeed. Some of the stage gimmickry does feel, well, like just that. Paul Klein has some difficulty navigating his stool; first squatting, then standing, before eventually succumbing to the conventions of sitting. On one song the whole band turn face and perform the song facing cardinal North, for some reason. I’m sure it made sense to someone. LANY succeed in bringing their sound to life on the road, and whets the appetite for further mining of their trendy pop sound. We’re going back to give their debut another spin, and keep an eye trained on the inevitable sophomore record.